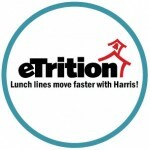 Wonderview School District in Hattieville, AR, has chosen to upgrade its existing School Nutrition accountability system to eTrition by Harris School Solutions (HSS). The Arkansas school district, a long-time client of HSS, is upgrading in order to better utilize its IT staff by taking away the need to maintain servers, backups, and sensitive data. eTrition’s SaaS cloud solution fits perfectly with their goal of increasing user efficiency while reducing IT demands. Wonderview School District expects to go live with eTrition in the fall of 2016.